Belemaoil Producing Limited in Joint Venture with the NNPC is now accepting applications from suitably qualified candidates from its host communities for its annual scholarship program. The deadline for submission of applications for the NNPC/Belemaoil Joint Venture (JV) Host Communities Scholarship Award is 12th November, 2018. Belemaoil Producing Limited in Joint Venture with the NNPC, fully committed to the education of our Host Communities, hereby announce its annual scholarship program for 2018/2019 Academic Year. The scheme is for suitably qualified applicants from Belemaoil Host Communities. Categories for the scholarship scheme are; Post- Primary, Undergraduate, and Post-graduate. Applicants must be from the Belemaoil Host Communities as listed in “Belemaoil Business Corridors” below. Applicants must submit Local Government Identification Letter. Applicants must have secured admission into a Public and Government recognized secondary school in the Country. Applicants must submit Reference Letter from the Principal of school along with at least JSS 1 first term result. Applicant Must Not be an employee or child/dependent of any employee of Belemaoil Producing Ltd. Applicant Must Not be a current beneficiary in any of Belemaoil Empowerment Schemes. Applicants must be from one of Belemaoil Host Communities as listed in the “Belemaoil Business Corridors” below. Persons involved in cult/criminal gang membership or with criminal record shall not be considered for the award. Applicants must be from the Belemaoil Host Communities as listed in the “Belemaoil Business Corridors” below. Applicants must have first degree with minimum of 2nd Class Lower Division for those wishing to undertake a Master’s Degree programme and a good Master’s Degree for PhD candidates from a recognized University (with documents for proof). Applicants must have secured admission into a recognized University within Nigeria with proof of the following documents (Post Graduate Admission Letter, Acceptance letter, Academic reference letter from an appropriate authority not lower than the Dean of Graduate Affairs). Guarantor’s written consent of good conduct from any of the following persons from applicant’s community/clan. Applicants must possess NYSC Discharge/Exemption Certificate. 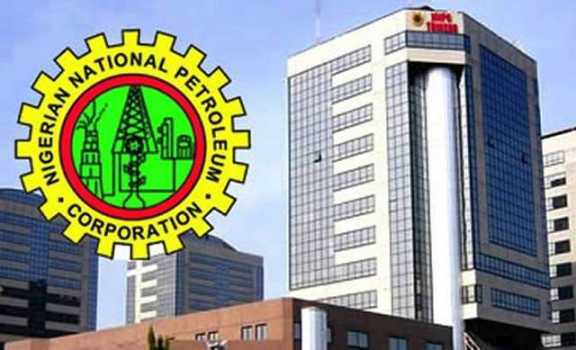 How to Apply for NNPC/Belemaoil JV Scholarship. Interested and qualified candidates should submit their Application through their Host Community CDC Chairman. Interface to: Nengi Elijah (08118898414) or Mrs. Mina Igonikon (07038395129). Short-listed candidates are to avail themselves for Aptitude Test at the Rivers State University (UST) ICT Centre on Friday, November 16, 2018. Time: 8.00 am prompt. All those currently on Belemaoil scholarship are not eligible to apply as their scholarship is still running. Apply Before: 12th November, 2018.